Looking to make a little extra money, and instigate an all-out war with your neighbors? 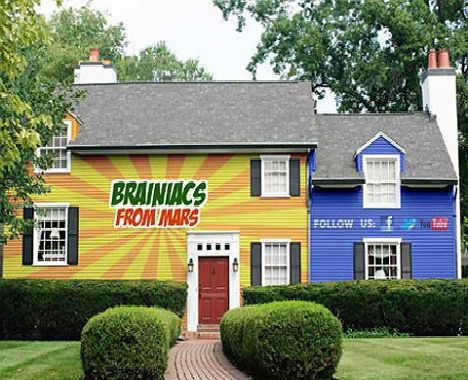 A company called ‘Brainiacs from Mars‘ has the perfect solution. 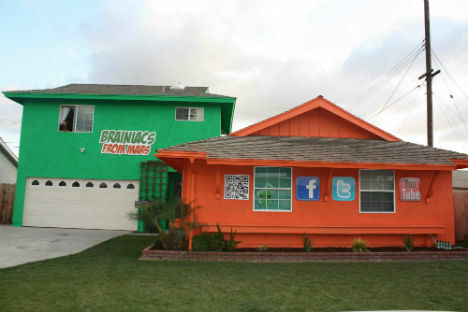 They’ll paint your house in the brightest, most annoying colors imaginable and plaster it with logos in the ‘Billboard Home Initiative’, which is aimed at homeowners dealing with the threat of foreclosure. It’s not hard to see why people grappling with the potential loss of their home would feel desperate enough to turn to a service like this. While the ads are up, the company will actually pay your mortgage, eliminating a huge worry for people who have lost their jobs or are otherwise unable to make the payments. 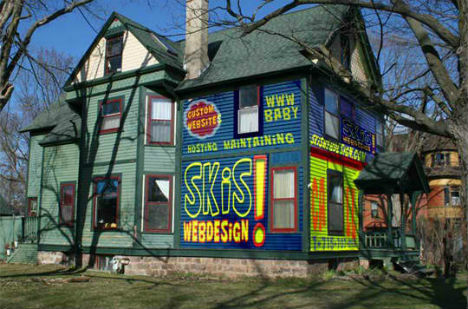 And once the contract is up, your house will be painted back to its original colors. 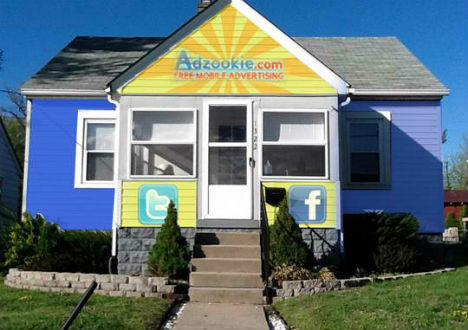 The company – previously known as Adzookie – has received over 33,000 applications and its Facebook page is plastered with messages from people proclaiming that their homes would make the perfect billboard. And the benefits to advertisers? According to Brainiacs from Mars, web traffic could see a increase of 56,000% within 30 days, along with a 2900% increase in customers in the same time period. Of course, some people will get into big trouble with their homeowners associations, and could be hit with fines that wipe out the benefit. And it’s not likely to be a big hit with neighbors. If services like this increased in popularity, visual clutter and commercialism would creep into our communities in a bigger, bolder, uglier way than ever before.